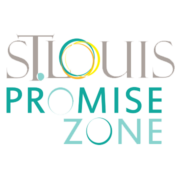 The federal grant certification process is designed to ensure applicants are engaged in activities which further the goals of the St. Louis Promise Zone. The Promise Zone is a federally designated geographic area that acts as a catalyst to create unprecedented opportunity for focused collaboration, regional alignment and transformative change. It boosts opportunities for federal grants. By applying for and receiving a Certification of Consistency for your federal grant application, you will receive preference points once your application is scored. Please allow five (5) business days to receive the Certification of Consistency. Applicants do not need a completed grant application to request certification. To request certification for your grant application, you will need to complete this form.